Düsseldorf, 26 June 2018. Today, in its second sustainability report, GROHE, the world's leading provider of sanitary fittings, announces the economic, environmental and social impact of its business operations for the years of 2015/2016. The report indicates that GROHE's sustainability objectives are above target. In 2016, for example, GROHE almost doubled the target of reducing its water abstraction by just under 9 percent compared to 2013. GROHE was able to increase its energy efficiency to over 14 percent in the same amount of time, the target being almost 9 percent. GROHE has reduced its greenhouse gas emissions by almost a quarter, the target also being just under 9 percent. In addition, GROHE is pursuing the ambitious goal of increasing its energy efficiency by 20 percent by 2020 and reducing the carbon footprint by 20 percent. Striving for the highest levels of sustainability is an integral and essential part of GROHE's DNA and, in addition to quality, technology and design, the brand’s core value. GROHE consistently pursues a 360-degree sustainability approach that incorporates the defined areas of activity of employees, suppliers, plants, products and contribution to society in equal measure. The responsibility for sustainability rests with the Executive Board Operations which is advised in its decision-making by the interdisciplinary Sustainability Council. 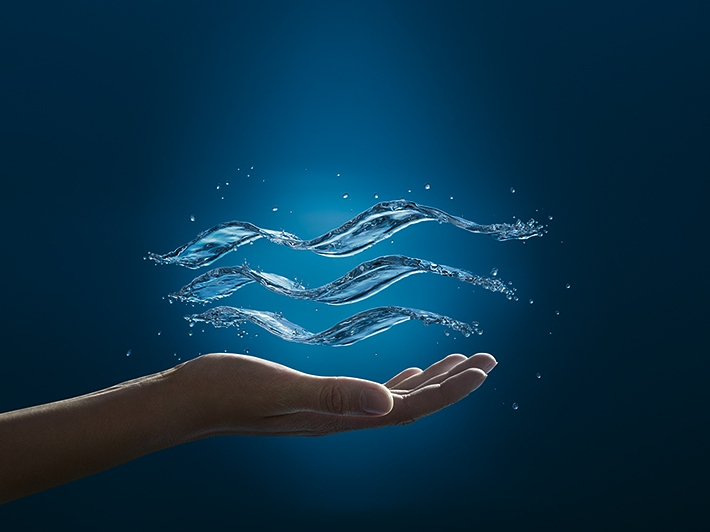 The GROHE Sense and GROHE Sense Guard water security system launched in 2017 ensures that undetected leakages – which cause 10 percent of private water consumption – are being revealed. In case of a burst pipe, the water supply is switched off immediately. In turn, the proportion of basin fittings with the water-saving EcoJoy technology has increased to approximately 70 percent (2014: 38 percent). Since their product launch in 2013, they helped save about 2.35 million hectolitres of water. For more information, please visit www.grohe.com/sustainability.